One last card for the weekend. Then its time to clean up the crafty space and pack for a day with the crafty gals tomorrow. I'm playing along with Chrissy Larson's sketch at Case this Sketch. I used Concord and 9ths Lace Leaf set, it has a fabulous string of small words along with the beautiful lacy leaves. The greetings sentiment is from Pretty Pink Posh. This card is for the 100th Challenge at The Card Concept. There is a beautiful graphic for the challenge. I was inspired by the creamy white pumpkin, the flower bunch, and the gold. My card is clean and simple. 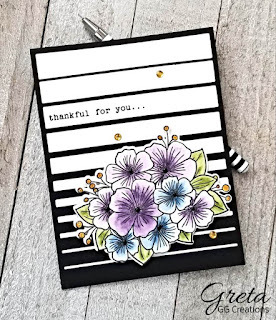 Supplies - TT Agapantha, SSS pumpkin dies, SSS Thankful Sentiments. Finally all those pesky things on my to do list are done. Now I can sit and create for fun. So buckle up there will be several posts today. 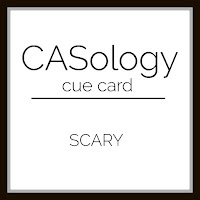 First up Casology has a prompt of SCARY. I'm being a little cheeky and substituting spooky! The spooky die is from Lil Inkers. I couldn't resist adding some small googlie eyes. This is a super quick card, and it makes me smile looking at it. I am back from our mini vacation. We visited my in-laws in Ohio and had some fabulous days. It was a nice relaxed visit. Not too much going on. Next we headed to Lake George New York, for a seminar hubs needed to attend. We got there early and left late and used the extra days to explore the area. We were very close to Vermont, so we explored there too. The leaves were beginning their autumnal show. It was amazingly peaceful and restful despite all the driving. 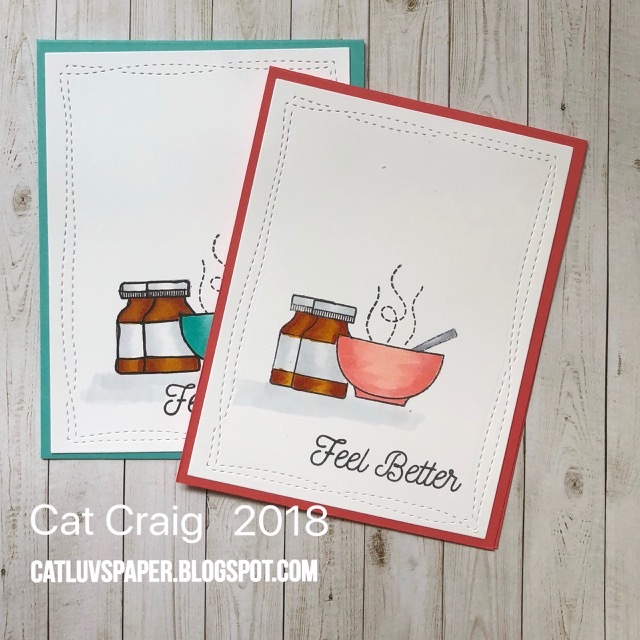 After getting the laundry going and restocking the cupboards and refrigerator, I grabbed a bit of time to make a couple of cards for several challenges. This card is going to Simon's Work it Wednesday. 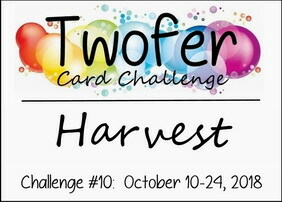 And both cards are going to the Twofer Challenge #10. My common stamp is the basket of apples, if you look closely at the fencing immediately below the pumpkins, there are several stampings of just the basket which were fussy cut after being colored. The card base was also colored similarly. I added some matching lines to continue the boards of the fencing. Recently I sent out the last of my feel better cards for illnesses and or injuries. So I sat down to replenish my stock. I like having these on hand because they can go into the mail immediately upon my learning of a need. 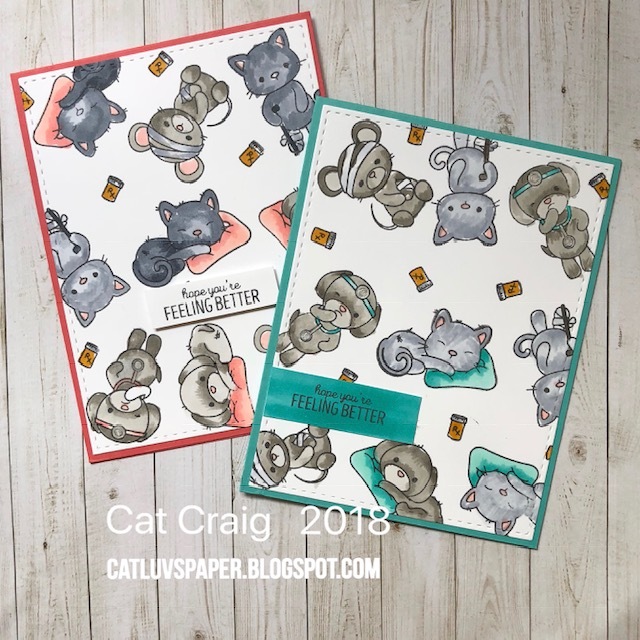 I have 4 sets that are perfect for this occasion, I took out three - MFT's Feel Better; Newton's Nook's Newtons Sick Day; WPlus9's Get Well Gang. I did a lot of stamping and coloring with copics. Hopefully these will last me throughout the next several months. Thanks so very much for stopping by. 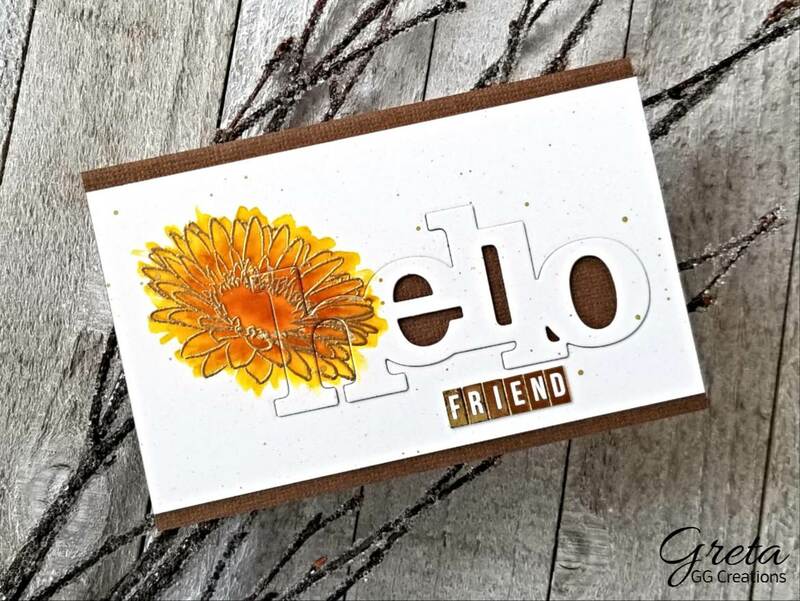 I recently received a box full of gently used stamps and dies from a blogging friend. I am having fun exploring the box. Thank you so much Jean. I have had a hexagon coverplate for ages, it might have been the first one I bought. I've never done much with it, but discovering a bee themed stamp set in the box got me excited to play with it. I die cut the hexagons and kept most of the pieces just in case. Then I stamped and colored the hive and a few bees. They were die cut and I went about putting everything together. Thankfully I saved those interior pieces. I had glued down the cover plate without them, and the design deperately needed help. So I put some of the pieces in to act as a landing spot for the sentiment, hive and bees and bee trail. I needed to build up that birthday card stash and I wanted to do some coloring. 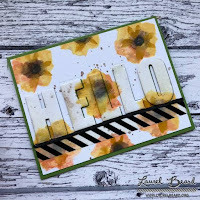 The flowers are Penny Black's Charming, the sentiments are Handwritten Happiness from MFT. 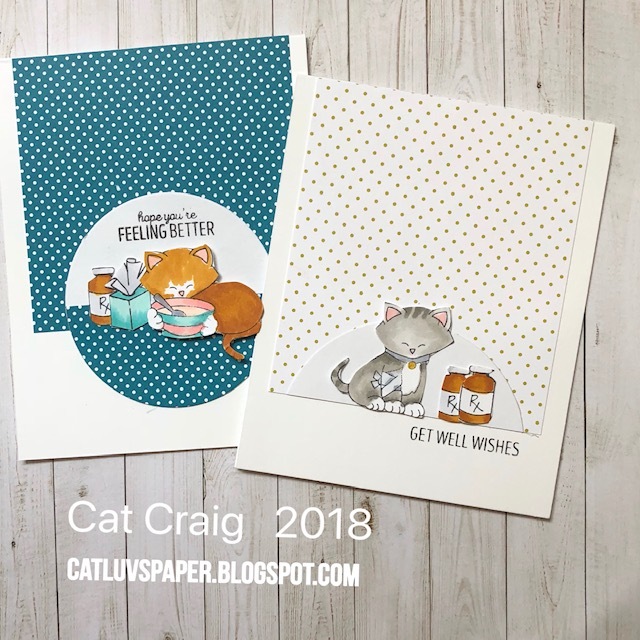 Earlier this year I had been working on a set of cards to send to non-cardmaking friends and family. I have a bag filled with stamps, markers and watercolor paper that I take to my friend Peggy's and we work on the AI watercolor images. She had put hers together in a fabulous calendar for friends. I only made six card designs, but made 6 of each of the designs for 6 card sets. I've given out 5 of the 6 and they were well received. As usual these are not original designs as far as the images go - I followed along with several Watercolor Wednesday videos. But how I matted them and turned them into cards is my design. 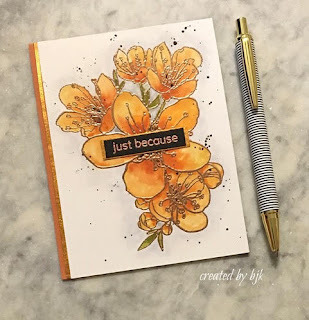 If you have been visiting for any length of time you know I love flowers and flower cards. Just because it is fall I have no intention of stopping with the flowers. I'll simply color them in reds, oranges, and yellows to give a fall feel. Both cards started out as stamped images on copic friendly paper. I then colored the images and fussy cut them out. For the colored card base I found a marker that was remarkably close in color and colored in all the left over white spaces and edges. 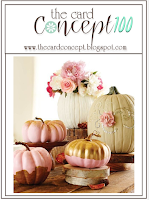 I'll be entering this colorful fall card in the Time Out Challenge - Colorful. Although both cards are colored in similar colors, the first one has more of a fall feel to me due to the golden yellow cardbase. The white still feels summery to me. What do you think? The stamps came from Stampin Up, there is one floral image with two shadow sentiments (Hello and Thanks) as well as 2 sentiments and some doodles that would also fit the center plaque area. Using Uniko's Nature Treasures 2 I created a clean and simple fall thank you card. The sentiment comes from SSS. I have a white stamped panel die cut with a stitched edge mounted onto a matching white card base. The white on white layering adds a bit of texture to the card while preserving the uncluttered feel of a CAS card. I have a card for several challenges tonight. 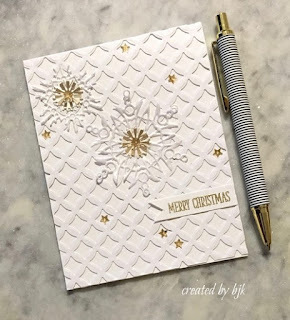 I used an embossing folder to emboss the card base. Next I cut a diamond frame using PPP dies. I stamped the HA sentiment on a piece of white card with burnt orange SSS ink. I used a matching alcohol ink to color in that frame and some twine. Next I used burnt orange, HA soft apricot and SSS orange peel inks for the small maple leaves bunched at the bottom of the diamond frame. I love sunflowers, those big beautiful heads with those lovely yellow petals make me smile. I think of sunflowers as the end of summer beginning of autumn flower. It signals the season change to me. Here is a card using mostly die cuts and lots of layers. I cut the SSS Radiant Sunflower die 3 times. I then colored up the pieces 2 small petal circles, 2 large petal circles, 2 center circles, 2 stems and 1 extra leaf. After coloring with alcohol markers, I began putting the flowers together. I cut the leaves and arranged them to better suit my design. 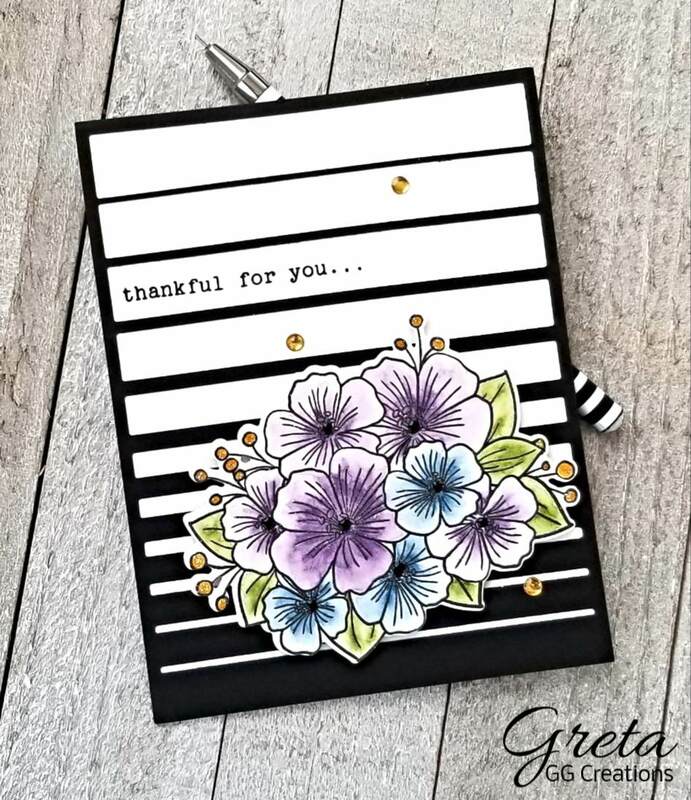 I placed the blooms on to a panel pre cut with a stitched SSS die and a Spellbinders die. The sentiment also comes from SSS. All layers were placed on to a brown card base. Simon Says Stamp's Flicker Challenge #107. I also wanted to play in the World Card Making Day challenges from Winnie and Walter. 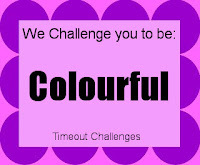 There are 8 challenges in total; I am participating in 5 and they are all posted below. 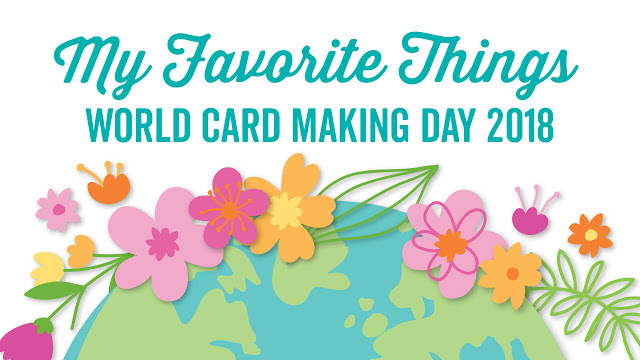 Thanks so much for stopping by, and I hope you had some time to enjoy world card making day. MFT has 3 challenges today, and I will post all three cards in one post. MFT products are not required, though they are encouraged. First Up is ROYGBIV make a card with a rainbow or using the colors of the rainbow. I grabbed some Copic Markers and colored them in rainbow order. I used this for my diecut Smile from MFT. 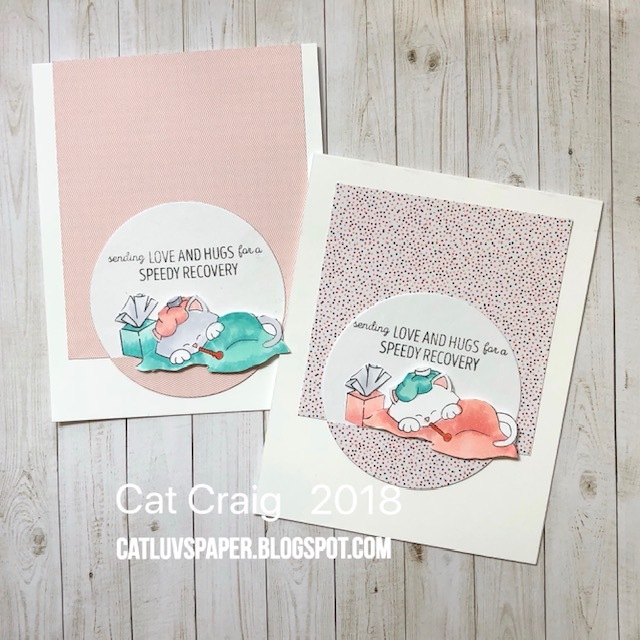 I added a sentiment from the Smile sentiment set and a Balloon from the Balloon Stax die set. My white panel is set upon a black card base, and my die cut is popped up on black fun foam. I left my balloon flat. 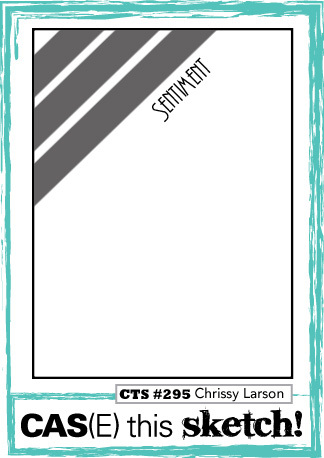 While I think my rainbow card works for Challenge #2 Clean and Simple as well, I decided to make another card. My second card uses a darling holiday set by MFT called Santa's Elves. Its very clean and simple and to the point! Lol. Challenge #3 is Flower Power, and you know I definitely wanted to make a card for this one. 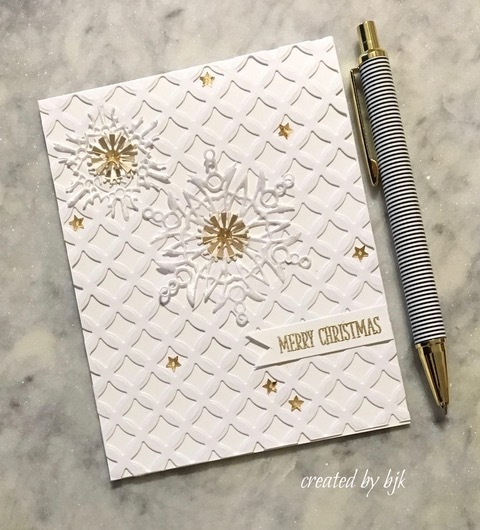 I really enjoyed the MFT Challenges and I think there was something there for most cardmakers to at least join in one of the challenges. My card is a little Halloween card, I am not a scary Halloween person, I prefer cute. I went with some non-traditional colors for this card. I used a die cut panel from Greta and a Bat from Betty. There is a lot of ink blending on my panel, some copic shading on my Gerda Steiner Designs Ghost, some heat embossing for the sentiment and a few sequins for a bit of understated bling. Its all been put on a panel of navy with white dot paper from A Muse. The friends joining me are Betty from Created by BJK, and Greta from GG Nurse Creations. Check out their blogs and see what was used from their blogging friends. I'm also linking my blue card up to Simon's World Card Making Day Post. Thanks so much for stopping by and I hope you got to make some cards in celebration of WCMD. 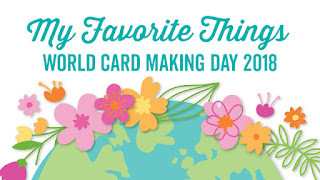 I haven't seen much hype in advance of World Cardmaking Day tomorrow - Saturday October 6th. I guess I'll have to wait until I get up and see what blogland has to offer.